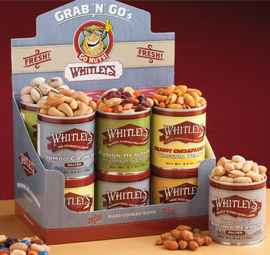 Are you looking for that perfect snack on the go? 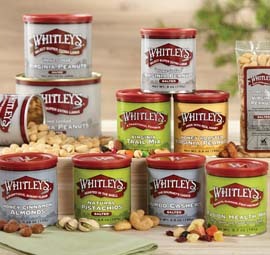 Check out our new Whitley's "Wittle" Tins! 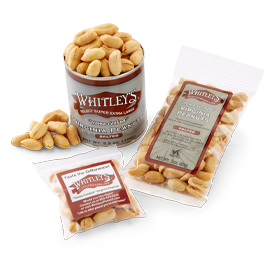 These conveniently sized packages hold between 3 oz. to 6 oz. 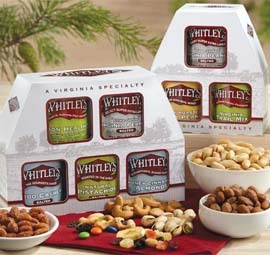 of a number of our great Virginia Peanut varieties, making them a heart healthy alternative to snacking on the go. So check them out today!